DR Depots was established in 1980 with the initial purpose of repairing and cleaning containers by making use of mobile service trucks. In early 1994 a complete new dimension was added to DR Depots’s services by setting up an empty container depot in Rotterdam (Maasvlakte). 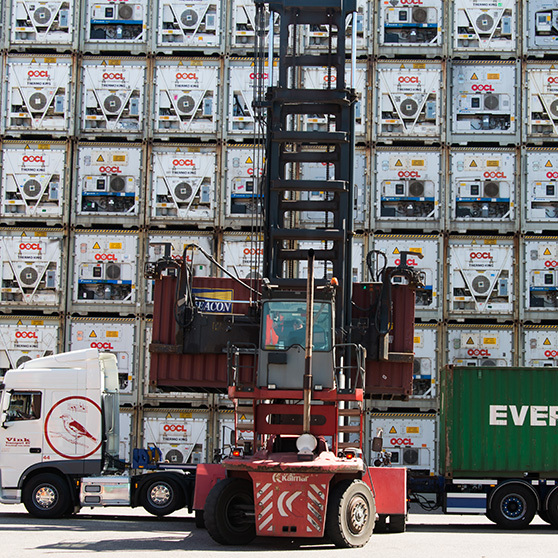 As a result of both autonomous growth as well as by means of strategic acquisitions, we can say that DR Depots is one of Rotterdam’s leading operators in the fields of empty container storage, repair and added-value services for both dry- as well as reefer equipment nowadays. We have acquired a special customs status in 2013 and are able to also handle your full containers and temporary store these containers under our custom bond and status (Entrepot C). Our facilities, technology and people exceed the highest standards in our industry. With the geographic position between Maasvlakte I & II (connected via internal lanes to the deep sea area and terminals) you have found a strategic partner in DR Depots Container Depot. DR Depots B.V. is a subsidiary of the DR group of Companies, comprising out of a number of companies active in various fields of container-logistics, such as Freight Forwarding, NVOCC (Non-Vessel Operating Common Carrier), Customs Brokerage, Rail Logistics and Depots. Johan van Doorn founded the company in 1980 with the initial purpose of repairing and cleaning containers by making use of mobile service vans. In early 1994 a complete new dimension was added to DR Depots’s services by setting up an empty container depot in Rotterdam. In July 1998, Johan van Doorn sold his company to Westellingwerf B.V., which initiated a further expansion of the company. In August 2002 DR Depots expanded its capacity by renting a larger premises from ECT. 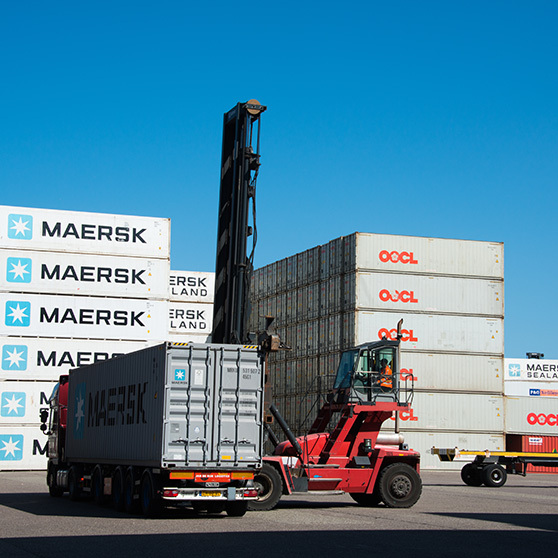 Due to the acquisition of Overbeek Container Control (OCC) in January 2003, DR Depots expanded its activities and capacity and in November 2003, DR Depots grew once again by taking over the activities of Handico Terminals at the Maasvlakte in Rotterdam. Until September 2005 DR was located at the premises of ECT Delta Terminal (Missouriweg), from which they moved to a premises at the Coloradoweg, leased from the Port of Rotterdam Authority. During 2007 DR Depots needed to move once again to its current location at the Malakkastraat, right in the heart of Maasvlakte, the centre of international container shipping in Europe largest port: Rotterdam. In November 2009 DR Depots was acquired by Logistic Connection B.V., part of the De Roo Group, comprising out of a number of companies active in various fields of container-logistics, such as Freight Forwarding, NVOCC (Non-Vessel Operating Common Carrier), Customs Brokerage, Rail Logistics and Depots. In October 2011 the activities of DR Depots crossed the Dutch border, via a new facility at the Treurenborg 1-9 in Antwerp, to also offer their familiar and excellent service to the Belgium market. During 2012/2013 the activities of DR Depots Antwerp grown so fast that they had to move November 2013 to the new facility at the Muisbroeklaan 34 A in Antwerp. We have two strategic locations in both Rotterdam and Antwerp, respectively the 1st and 2nd largest ports in Europe. 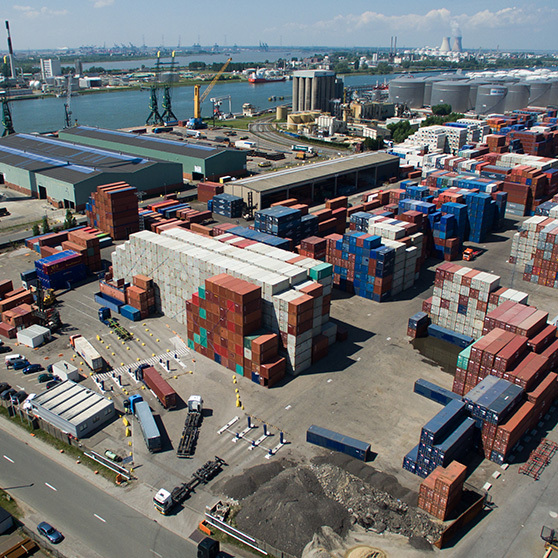 The Rotterdam Depot is situated at the Malakkastraat 51 in Rotterdam, portnumber 8564. 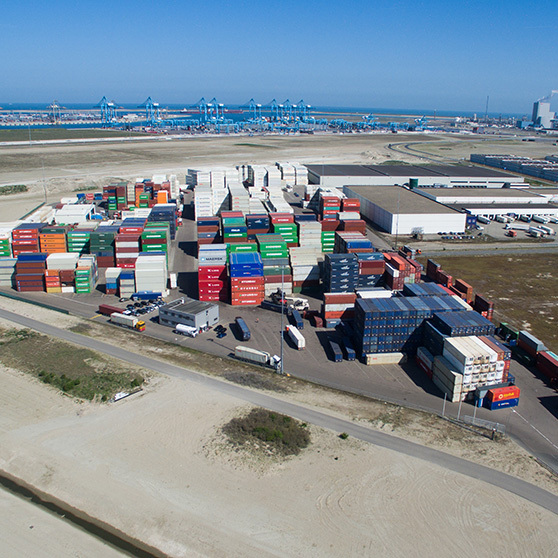 The gate at the Malakkastraat 51 is strategically located between Maasvlakte I & II giving DR Depots a perfect connection to the ring of Rotterdam near the deep sea area and therefore providing it’s customers with an ideal connection to the hinterland in Europe. Our depot in Rotterdam can facilitate pick-up and delivery via water, rail and truck connection. Our current depot facilities in Rotterdam have a total storage capacity 164.500 m2 whereas our cleaning area is large enough to enable us to clean up to 65 container units simultaneously. In the warehouse of 800m2, we have a special (temperature controlled) compartment for heavy body repairs with foaming facilities. Our facilities are equipped with LED lighting thus giving our staff a safer, greener and more productive overview by night. Furthermore by using this technology we have reduced our Co2 emissions with 1 third of the normal light output. The Pre-Trip Inspection (PTI) area in Rotterdam comprises of total 140 plugs, there are 2 power-packs present for emergency situations. Our reefer-body specialists handle over 60.000 repairs per year. Our facility is working with 5 empty containerhandlers which are able to stock containers up to 8-high and 1 reachstacker. They are all equipped with a Radio Frequency System. This system enables the drivers to accept, release and store containers in real-time and allows us a permanent survey of the depot stock and container locations. Made available 24/7 to all our customers by means of secure e-Services over the internet. The opening times are between 05.00 AM and 23.00 PM (Monday to Friday). We have two strategic locations in both Rotterdam and Antwerp, respectively the 1st and 2nd largest ports in Europe. The depot in Antwerp is equipped with 9 speedgates for both in and –outbound traffic, which means the driver doesn’t have to leave his truck. Our depot in Antwerp can facilitate pick-up and delivery via water and truck connection. The gate at the Muisbroeklaan 34a (portnumber 504) Strategically connected on the right bank, near the E19 and Dutch border, giving DR Depots a perfect connection to the ring of Antwerp, and therefore providing it’s customers with an ideal connection to the hinterland in Europe. Our current depot facilities in Antwerp have a total storage capacity 180.000 m2 whereas our cleaning area is large enough to enable us to clean up to 60 container units simultaneously, and have a warehouse of 3500 m2. We can repair and have a special (temperature controlled) compartment for heavy body repairs, foaming facilities. Our facility collaborates with 8 empty containerhandlers that are able to stock containers up to 8-high and are all equipped with a Radio Frequency System. This system enables the drivers to accept, release and store containers in real-time and allows us a permanent survey of the depot stock and container locations. Made available 24/7 to all our customers by means of secure e-Services over the Internet. The opening times are between 06.00 AM and 22.00 PM (Monday to Friday). After the completion of Maasvlakte II, DR Depots in Rotterdam will be able to expand its capacity and current handlings. For the initial stage the current facilities in Antwerp are more than up to standard, and present capacity sufficient to market demand. The vision of DR Depots is to be one of the leading depot facilitators within Europe, realised by developing multiple locations with the same service and performance -standards. Thus enabling it’s customers, to have one point of entry while having an European coverage. Investment in port and inland transportation access remain essential to the continuing development of the global economy, and DR Depots remains active in Europe pursuing appropriate projects and partnerships. Our skilled staff receives any necessary trainings whenever required, thus allowing them to remain aware of the latest standards. In the meantime we continue to strive for perfection by ensuring our systems remain up-to-date with the latest developments in the industry.